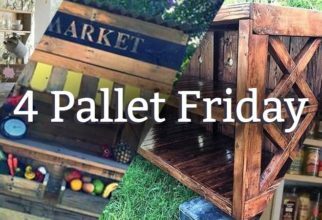 On Fridays we share four pallet projects that make us love free pallet wood! While there’s usually a theme, sometimes it’s just random ideas that we feel like sharing. 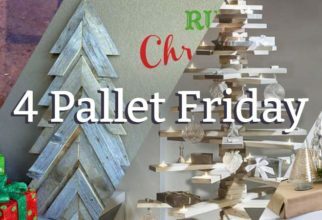 You can find all included projects on our Pinterest board of the same name. 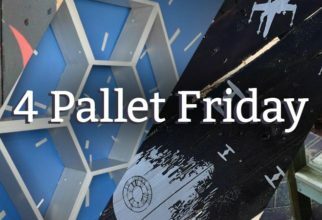 Enjoy 4 Pallet Fridays! Ombre means shadow in French. It also means everybody’s hairstyle, smartphone wallpaper, home decor, and current trend in 2017. 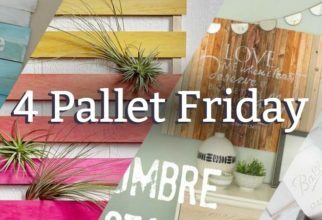 So where’s my ombre pallet projects? 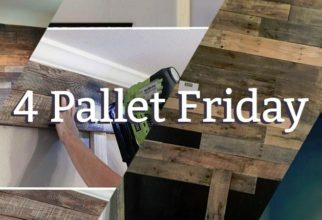 When your husband comes home with three trunk loads of pallets, who can help but envision what those pallets could become? 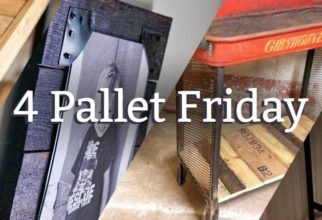 Since Andrew’s giant pallet score I’ve been keeping my eye on pallet projects.